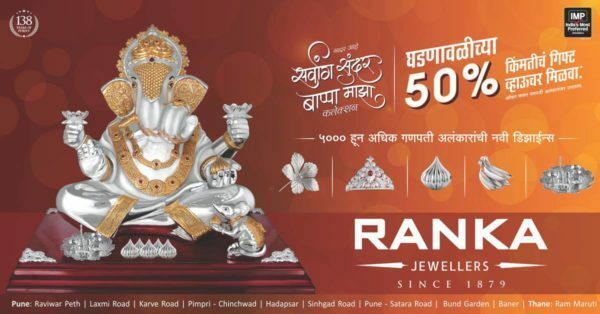 Ranka Jewellers… a 140 year old establishment is the unparalleled supremo of the jewellery business in Pune. As far as the collections are concerned, Ranka Jewellers have jewellery for all kinds of people and all kinds of choices. The Aesthetic Collections define Ethnicity & Elegance. They have all, right from the customary to the contemporary types… from occasion specific to daily wear. It is the trust that binds them with us for years and generations. The story of P N Gadgil Jewellers is no fairy tale but an epic scripted meticulously by six generations of the Gadgil clan. Some of the most-consecrated idols in iconic temples around India have adorned a Gadgil creation. Amongst their patrons have been the members of the Royal Family of Sangli. Not to forget the billions of cherished patrons around Maharashtra who have showered their love and affection on P N Gadgil Jewellers. Since 1832, today, the group has a chain of stores in the metropolis of Pune. Rajmal Lakhichand Jewellers has come a long way since its inception in 1854. The 6th generation now holds the torch of the family business guided by the same vision that drove each generation of creators. No wonder then that the company continues to enjoy the same respect and customer loyalty over a century and a half, with an increasingly wider market endorsing our price-purity equation. The company has always been a trendsetter and is walking the same path of satisfying its customers with a new and innovative offering.The product line that ‘RL 1854′ offers would be a style statement in itself. Gold Mart Jewellers are Pune’s first jewellers in entire western India (ex. Mumbai) to get the BIS license and the only jewellers to have both Keratometer and BIS, thus maintaining authenticity and transparency. They have designers of international repute working for them.you can be assured of the wide variety of exclusive designs in Gold and Diamonds. If you are looking for unique and exquisite designs, Gold Mart is the place for you. Established in 1972, Rathod Jewellers is the vision of 3 brothers – Mr Naresh Rathod, Mr Sanjay Rathod and Mr Manoj Rathod, who came together to make jewellery that depicted their love for it. Their vision, their aspirations and their dedication have all contributed in making Rathod Jewellers one of the biggest jewellery names in Pune. Today, their wide collection of jewellery from rings and necklaces to bracelets and pendants, all embody a very contemporary take on India’s traditional art of jewellery making. Simply put, they craft jewellery that gives you the best of both worlds.